IATED (International Association of Technologies, Education and Development), EDULEARN11,the 3rd annual International Conference on Education and New Learning Technologies will be held in Barcelona (Spain), on the 4th, 5th and 6th of July, 2011. EDULEARN11 is an International Forum for those who wish to present their projects and discuss the latest innovations and results in the field of New Technologies in Education, E-learning and methodologies applied to Education and Research. This conference will be held at international level. The attendance of more than 700 delegates from 70 different countries is expected. 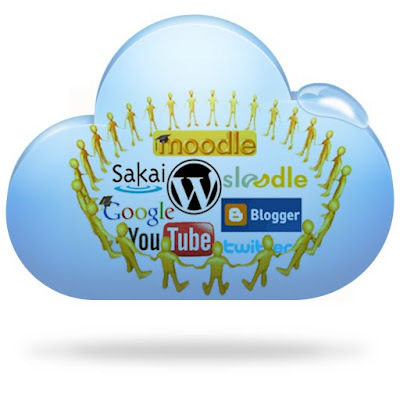 "A New Educational Paradigm: from e-learning to cloud learning (c-learning). Knowledge in the Cloud"
Here we show the abstract of that presentation. Education is going through an unprecedented moment, as the aid tools that offer technology are increasing. These paradigms do not use education as a key element, but rely on the rationalization of teachers and students who find benefits in models of management through distance education. 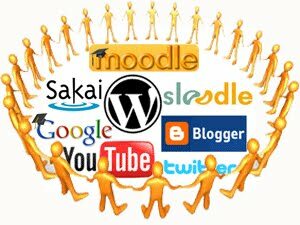 Web 2.0 has allowed the emergence of online learning platforms (Moodle, Sakai...), thanks to their communication, collaboration and evaluation tools (E-mail, forum, chat, wikis, test, Web Quest...), which are developing new styles in pedagogical education as e-learning or b-learning. In Higher Education, this new educational space has been implemented more quickly, and the universities have already accepted it as an official system. The virtual classroom has been added to the physical classroom. Teachers have evolved from e-tutor to the e-moderator, to become a facilitator of learning, where the motto is learning to learn. However, the situation has not been attractive enough to be able to get the students attention. For students, their classmates are members of their virtual community and they use the technology found in the cloud (Gmail, Facebook, Twitter, Youtube, WordPress, SecondLife...), to send information, communicate, share resources...; through the PC, notebook or PDA's, IPhone, Tablets PC... And they spend a quarter of the time in Social Networks and Blogs, as it was stated in a recent Nielsen’s research of June 15, 2010 ("Social Networks / Blogs Now Account for One in Every Four and a Half Minutes Online"). Therefore, the social networks begin is beginning to be applied in many universities, creating a new educational environment called Social Learning. Who uses the official platform of e-learning? Why do students use social networking instead of learning platforms? Why students do not use learning platforms? Is the teacher responsible? How can we create educational reality supported by technology? And / or how does combine the two main actors: teachers and students? This situation leads us to rethink the professor and the pedagogical model of learning and research on what attitudes have to handle, to be able to assume their responsibilities, have to possess skills or improve and how to work towards that union with their audience, the students. In this entire context, Cloud Learning (C-Learning) is the concept behind it. This is a new educational world, global, and open, which uses the formal structures of universities and non-formal offers cloud. Therefore, learning extends to the tools of virtual reality (Second Life and OpenSim), Social Networks (Facebook, Twitter...) microblogging (Twitter), blogs... This new reality requires teachers to expand their scope of education, beyond the formal classroom and virtual learning to a space in the cloud, transforming in a community education manager, acquiring new knowledge and skills. In this article, we offer some suggestions on the environment and the skills of the new teacher, who works with Web 2.0 tools and use of a type of education in the cloud, (c-learning). Introduction: The state of the question and the question itself. The physical classroom to the virtual classroom: the way ahead. E-tutor and educational support to the e-moderator. Community Manager (CM): Defining the concept. Characteristics of Community Manager (CM). Teaching Tools for a Community Manager. Forum Dena: "Cloud Computing. The Quiet Revolution "